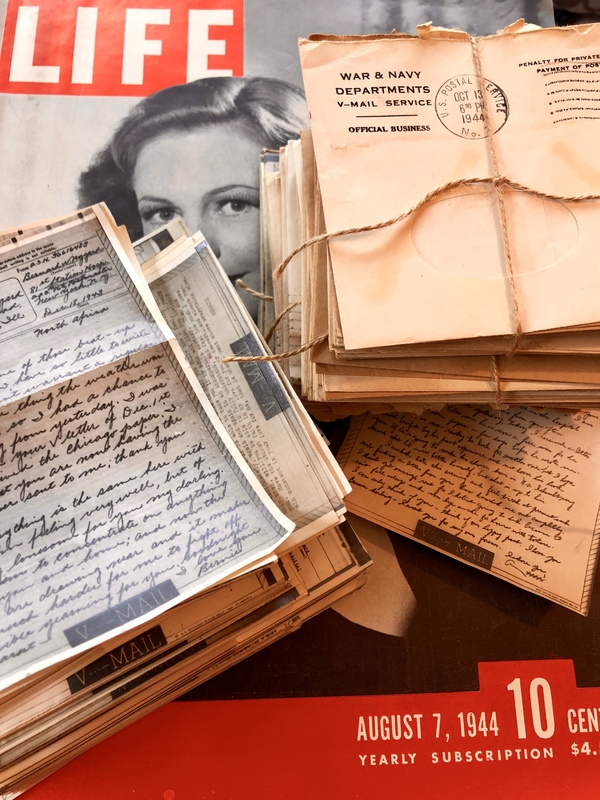 In the spring of 2018, I walked into the Antiques of Winfield shop in Winfield, IL, intent on finding WWII-era items to sell at a silent auction for The Girl Who Wore Freedom. I found a stack of papers lying in a forgotten nook. $25 for a stack of 200 letters. $25 for the words of a husband to his wife. $25 for the first-hand memories of a World War II soldier. What I read reminded me of why I first began. 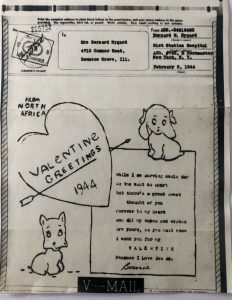 The stack contained Victory Mail (V-Mail) correspondence between Private Bernie Nygard and his wife Anna. 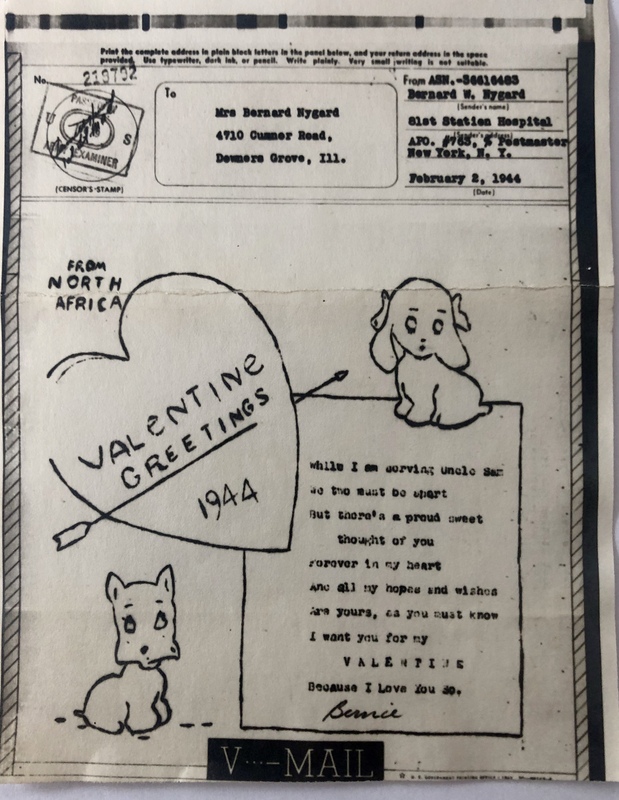 They trace 10 months of Bernie’s service, from December 18, 1943, to October 18, 1944, and follow Bernie’s service from North Africa to Italy. As I skimmed through the letters, I couldn’t help but get to know the couple documented in these pages. I couldn’t help but fall in love myself. Anna was the daughter of Czech immigrants and a trained stenographer and office clerk before she married Bernie sometime between 1940 and 1942. I wish I knew how the two met. Did they work in the same building? Were they set up by friends? Did their cunning dalmatians bring them together à la Disney? I don’t know. But their letters convey an earnest love for one another—a longing and a passion that transcends time, that reminds me that humans are humans regardless of historical context. Vulnerable, resilient, passionate humans. At times, Bernie’s letters break my heart. 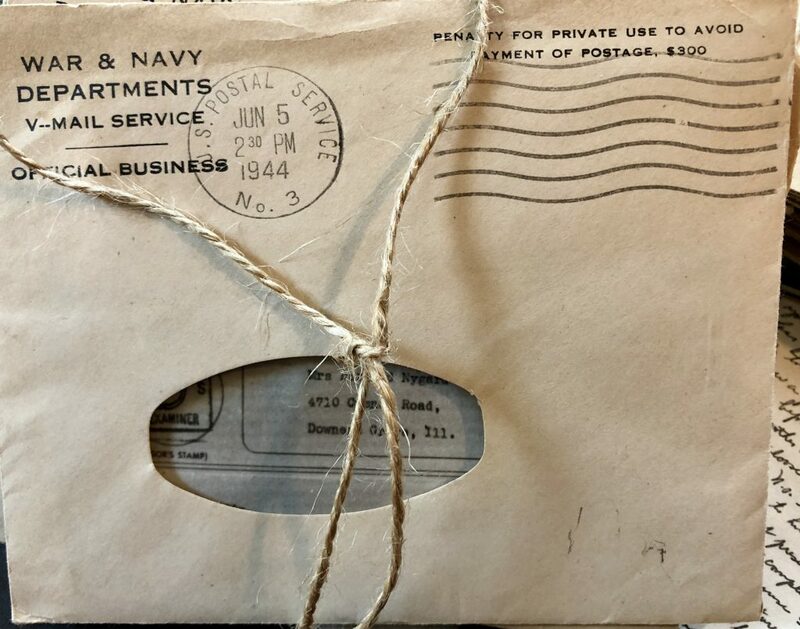 These letters are receipts for the emotional and psychological price of war. They remind me of the letters I exchanged with my son Hunter as he served in Afghanistan. They remind me that over the course of 75 years, everything has changed and nothing has changed. They remind me to remember the sacrifices of the servicemen and women who secured and preserved our freedom…and the freedom of people halfway around the world. As I’ve pursued the making of The Girl Who Wore Freedom—a film that strives to capture the human risk that hung on the success of D-Day—I’m reminded again and again that D-Day is a story of love. Love on the part of the soldiers who fought to return home to their loved ones, and love on the part of the people they freed. After 75 years, Bernie and the millions of other US service members who helped bring World War II to an end continue to be loved, celebrated, and honored by the people of Normandy. That’s the enduring power of love. Happy Valentines Day from The Girl Who Wore Freedom team! 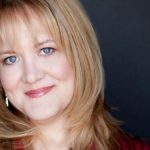 Christian’s 35-year entertainment industry career spans stage, screen, and sound booth, as she has been talent, producer, director, casting director, and coach. Christian began her career in the entertainment industry interviewing Senators on Capitol Hill with the TV/Radio department of the Senate, The Senate Republican Conference. 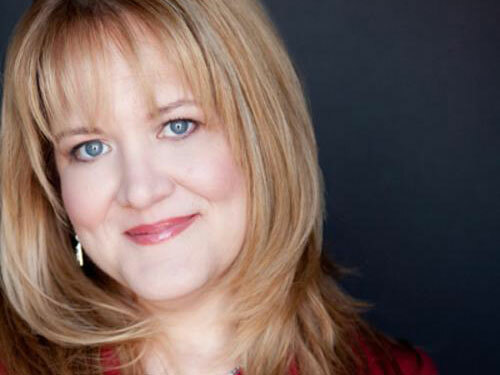 She received her BA in Theater and Broadcasting from The Catholic University while working in radio and TV on The Hill.